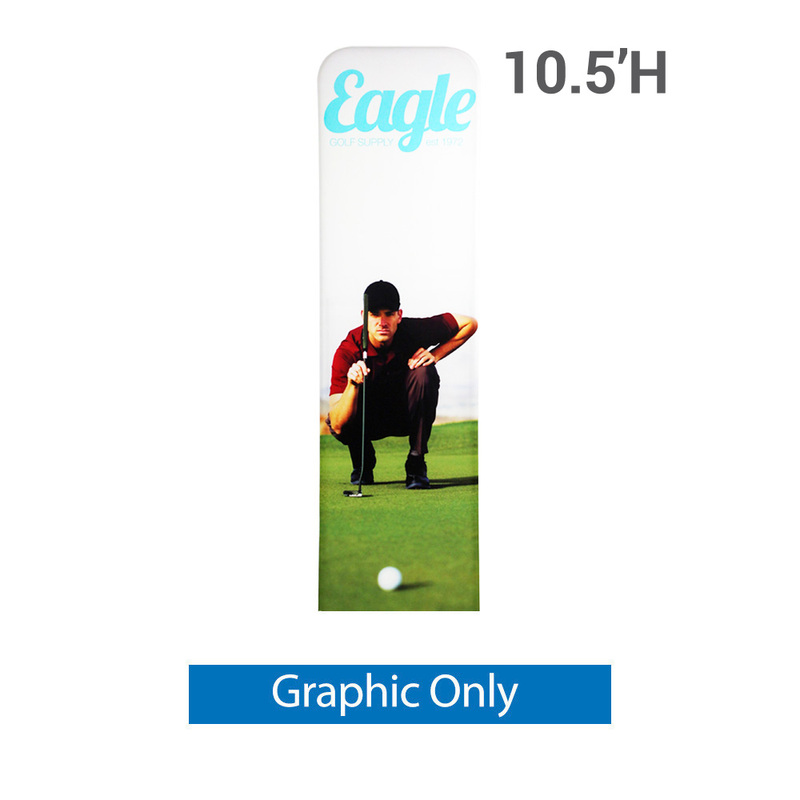 Product Features – Expedite your banner stand setup time while adding lavish appeal with our newest EZ Tube fabric display – the EZ Extend! Hardware comes stock at 7.5ft tall with height options of 5.5ft, 8.5ft, and 9.5ft. Customize a single-sided (choose white or black back fabric) or double-sided dye- sublimated stretch fabric print. To assemble, secure the longest vertical poles onto the black steel base using the included allen wrench. Add the bottom horizontal support pole and secure. Snap on the remaining vertical poles, then top frame with the curved bar to complete. Tilt or lay down EZ Extend to swiftly drape with the pillowcase graphic. Using the industrial-size zipper, zip underneath the bottom support pole, maximizing fabric tension.